Bike Union members enjoy discounts and deals at a bunch of sweet local businesses. Keep your membership card in your wallet, and show it when you shop at our supporting retailers! 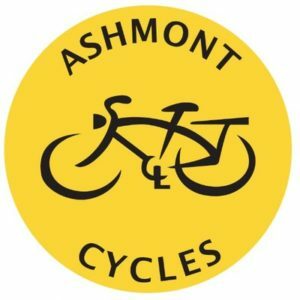 Ashmont Cycles is an authorized dealer of Fuji, Linus and SE bikes, as well as Specialized products. Their friendly staff will help you choose a bike that matches your needs and interests. Back Bay Bicycles, located in, you guessed it, Boston’s Back Bay, is a licensed dealer of Cannondale, Giant, Liv, Salsa, Surly, GT and Schwinn bikes. 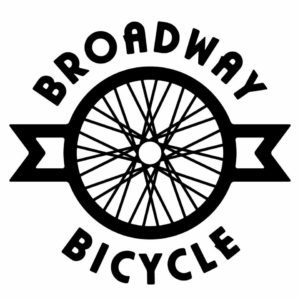 Broadway Bicycle School is a worker-owned and collectively run bicycle shop in Cambridge. They offer a wide variety of classes, from basic repair to advanced wheelbuilding. Looking to learn more about bike maintenance? Check them out! CrimsonBikes started at Harvard University in 2009 as a student bike program. In the years since they’ve grown to a full-service bike shop in Harvard Square. 10% off all parts and accessories. Ferris Wheels in Jamaica Plain is a stalwart of the Boston bike community. Owner Jeff Ferris has been involved in bike advocacy for decades, most recently helping convince the Department of Conservation and Recreation to repave the Southwest Corridor. Stop by to say, “Thanks Jeff!,” and use your union card to get a great deal! Boston-based Fortified Bicycle specializes in developing anti-theft bicycle products, including lights, seat-post collars and a bike, the INVINCIBLE. 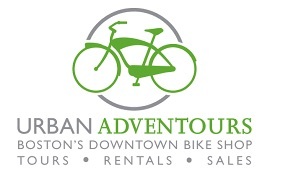 Urban AdvenTours offers guided bike tours of Boston, bike rentals, and repairs. Since 2004, they’ve been showing locals and visitors the best way to experience Boston — on two wheels! 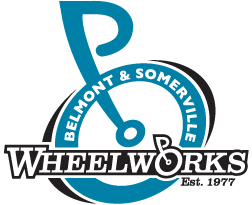 With locations in Somerville and Belmont, Wheelworks sells a wide selection of parts, apparel, & accessories; has an experienced team of knowledgable, professional bike mechanics; and offers classes in bike maintenance & indoor cycling. $50 off Zipcar’s registration fee, $25 off its annual fee, and special reduced rates during weekdays. To redeem the discount, click here. Already a Zipcar member? Log in to your Zipcar account, click on My Stuff > My Account > and under “My Info” click on “Join with an organization.” Then click on “I want to join my company’s existing account,” and type in “Boston Cyclists Union – Member Benefit.” Call 1-866-4ZIPCAR with any questions. Zipcar is a great way for bike commuters to get rid of their vehicles and still enjoy the benefit of having a car when they need one. The company is also a big in-kind supporter of our Bike to Market program! Offering five great hostels on Cape Cod, Hostelling International makes it easy to find a place that fits your needs — whether that includes fishing, hiking, swimming or whale watching. 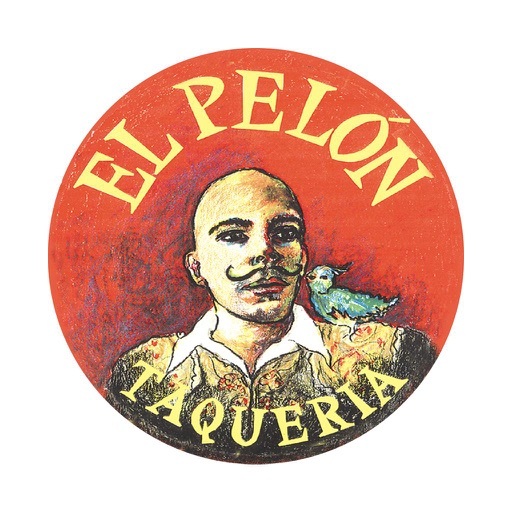 Beantown Taqueria is open for breakfast, lunch & dinner Sunday–Wednesday: 8am–11pm, and Thursday–Saturday: 8am–4am Beantown Taqueria supports our Bike to Work Breakfasts by donating breakfast burritos. Please visit them year round! Located in the South End, Blunch is a favorite spot for delicious pressed sandwiches, salads, and a variety of muffins, sweets, and cookies that was once featured on Guy Fieri’s acclaimed Diner’s, Drive-Ins and Dives. Open daily until 3 p.m., head there for breakfast, lunch, coffee or treat! Charlestown’s favorite Thai restaurant, Chow Thai Cafe, is open for lunch Tuesday-Friday, and for dinner Tuesday-Sunday. They also do take out and delivery. Jamaica Plain’s City Feed has been a major supporter of local events and local food, and they show their support for the Boston Cyclists Union by giving our members an awesome discount on something we all like and need: food. They have some the best takeout food (coffee and sandwiches) in the city, plus a well-curated grocery! Jamaica Plain’s Frogmore Low Country Kitchen & Bar slings delicious, southern-inspired food from the Carolina coastline, plus custom cocktails and drinks every day until 2 a.m. The Frogmore has also hosted fundraising events for the Bike Union. We’re adding new discounts all the time, so check back here or keep an eye on our newsletter for the latest info.